We have provided Russian translation and localization services to software developers since 2004. 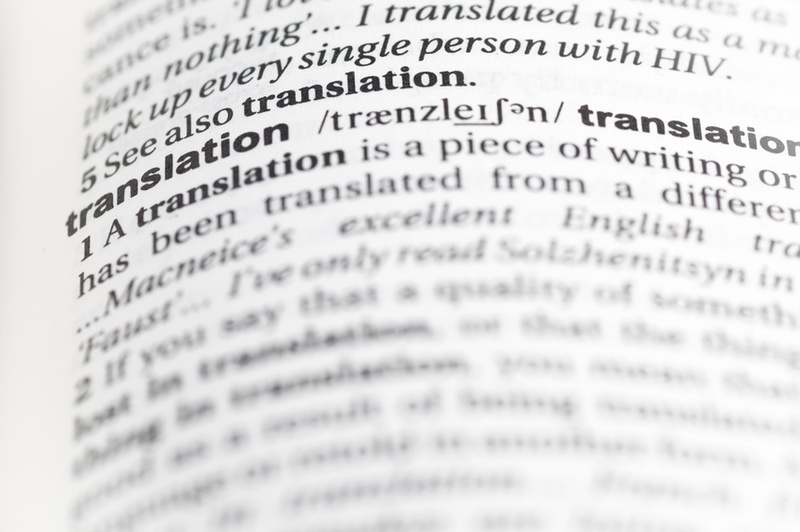 Having a high degree of expertise in technical translation, we translate and localize websites, mobile applications, marketing documents, manuals, user guides from English to Russian. Quite often we translate press-releases from English to Russian, and then promote them in local computer press. That was the case with Salesphone.net. Salesphone.net released a lead generation and sales management app called Sales Phone and asked us to translate their press-release from English to Russian, and then arrange for its publication on technology websites. I translated the text within the specified time frame and then contacted the editors. In 2-3 days the translated announcement of the app launch appeared on several popular technology portals. One of them was CNews. CNews is the largest Russian technology website launched in 2000. CNews focuses on the latest IT news, analytical articles, market reviews and internet surveys. Up to 100 pieces of news are posted on the website daily, providing authoritative insight and opinion on the Russian and Foreign markets of computer equipment, software, e-commerce and telecommunications. The average daily attendance is over 200,000 readers. London (UK), March 29, 2011 – It’s a global sales rule – only 20% of the world’s sales force perform at the top of their game. Sales Phone, a worldwide leader in mobile Apps for lead generation and sales management, is turning those statistics upside down. The revolutionary App, Sales Phone, moves 80% of sales people to the forefront of the industry by providing them with the tools they need to identify potential leads, organize and manage data and offer personalized service, resulting in customer retention, repeat business and up to 27% boost in sales. Since its inception a few years ago, Sales Phone App has been changing the way sales teams in automotive, banks, hotels, real estate and other industries manage their sales leads. Today, Sales Phone App has been upgraded with additional user-friendly features and has rapidly established itself as a leading data acquisition and revenue-building App worldwide. Easy to use, Sales Phone provides automated lead generation apps for sales leads in iPhone, iPad and Android touch phones. This vital App offers a powerful platform to capture, filter and organize information, create sales reports and follow-up with potential clients via email, SMS or phone. Strategically priced at $29.99 USD per sales person, Sales Phone App is one of the most economically convenient lead-generating mobile Apps for business available to date. In a world ruled by technology and driven by the need to acquire more customers, Sales Phone consistently raises the bar in developing new Apps for sales people. The Sales Phone App covers creates the difference in the world of sales by creating human connections, attention to detail, one-on-one relationships and customer service excellence. Each organization makes a different search when looking for lead generation. From Apps for data collection, lead generation Apps, Apps for sales management, CRM Apps for iPhone, iPad or Android Apps for sales reps, to business Apps for iPhone, Apps for iPad, or Smartphone Apps for business. Sales Phone groups them all. Лондон (Великобритания), 29 марта 2011 года – Компания Salesphone.net, разработчик мобильных приложений для определения круга потенциальных покупателей и управления продажами, объявляет о выпуске приложения Sales Phone 1.0 для iPhone, iPad, iPod touch и смартфонов Android. Основное правило торговли гласит – только 20% торгового персонала выполняют свои функции эффективно Компания Salesphone.net полностью переворачивает эту статистику. Мобильное приложения Sales Phone перемещает 80% продавцов на передний край продаж, предоставляя им все необходимые инструменты для проведения анкетирования, сбора информации о потенциальных клиентах, фильтрации и организации данных в базе, подготовки отчетов по итогам проведенного опроса и последующей связи с клиентами. В результате менеджеры по продажам могут эффективно развивать взаимоотношения с каждым клиентом индивидуально и увеличить продажи на 27%. Приложение будет полезно любому менеджеру по продажам, который занимается маркетинговыми исследованиями и сбором информации о потенциальных клиентах вне офиса. Sales Phone позволяет быстро создать анкету с вопросами, опросить клиентов, сохранить результаты опроса и контактные данные потенциального покупателя, включая имя, номер мобильного телефона и электронную почту. В дальнейшем можно ознакомиться с результатами опроса в виде различных диаграмм, просмотреть ответы каждого проявившего интерес человека и связаться с ним по электронной почте, SMS или по телефону. При этом все эти данные и инструменты находятся всегда под рукой. “Удобство нашей программы для определения круга потенциальных клиентов уже успели оценить многие менеджеры по продажам из компаний, представляющих различные отрасли экономики, такие как автомобильная промышленность, банки, гостиницы и торговля недвижимостью, – говорит Рональд Альфред, директор Salesphone.net. – Теперь мы хотели бы предложить этот продукт и россиянам”. Sales Phone 1.0 распространяется через онлайн-магазин Apple AppStore (доступ к магазину осуществляется через программу iTunes) и собственный интернет-магазин на сайте продукта. Поддерживаемые мобильные устройства: Apple iPhone (iOS 4.0 и старше), Apple iPad и смартфоны на базе ОС Android. Стоимость приложения – 39,99 долларов. The viewer below shows the screenshot of the webpage with our translation. To view the screenshot in the full-screen mode, click Toggle Full Page in the viewer. Would you like to launch your project in Russia? Contact me. I shall personally translate and localize your website, mobile application, manual, user guide and any other document from English to Russian, and the quality of Russian translation will be outstanding. This entry was posted in iPad App Marketing, iPhone App Marketing, Russian Translation and tagged Russian translation, Russian translator on 03/01/2013 by Roman Korolenko.